I mentioned in our previous post that we have just had a science week and we try and include some sort of scientific outing in our science weeks. Luckily where we are we are spoilt for the great outdoors and most of our scientific outings are related to natural factual observations. 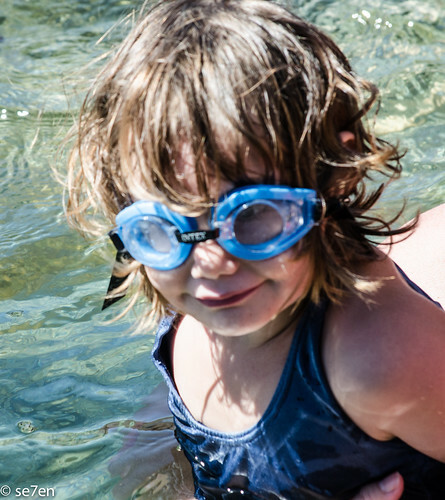 There are few better escapes than a couple of hours spent rock pooling. 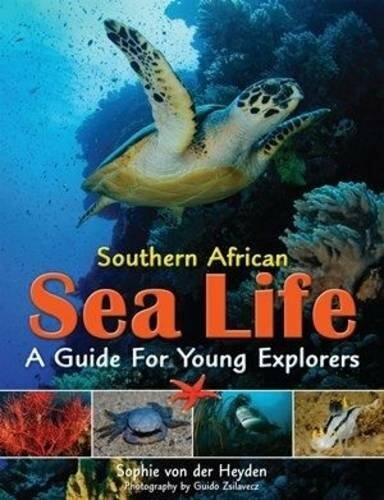 Where to Go: We are spoilt for good places to go rock pooling. 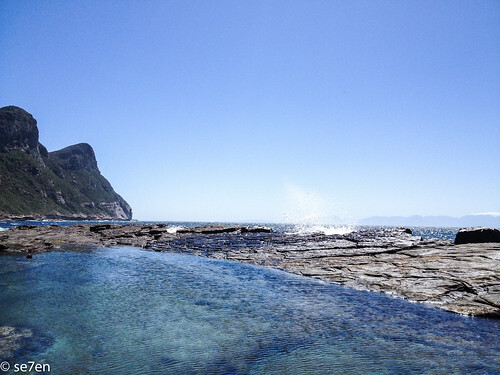 Beside every sandy beach there is a rocky outcrop… and rocky outcrops are good spots to go rock pooling. 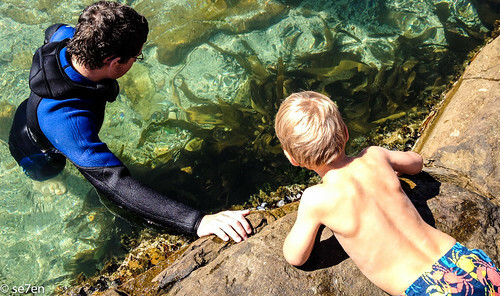 Certainly next to most Tidal Pools in Cape Town you will find some excellent rock pooling. 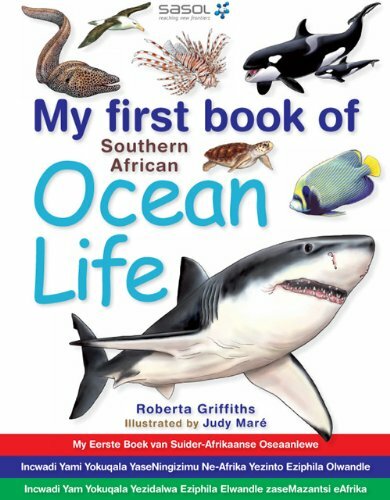 We have had great success rock pooling in front of the Shark Centre between St. James and Muizenburg and of course in the Cape Point Nature Reserve. Check Out the Tide: Low tide is the best time, google “tide table and your location,” and you will find the time of the high and low tides and be able to plan your outing accordingly. Basically it is low tide in the morning every other week and low tide in the afternoon the weeks in between. 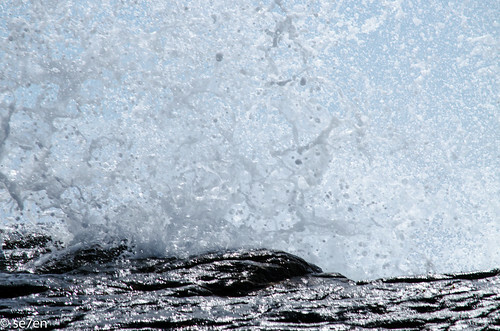 If you head out rock pooling during full moon or new moon then the tide will be even lower. Keep in mind that low tides reveal slippery and slimy seaweed on the rocks and tread carefully. Special Equipment: Goggles are fun… but the real winner is a clear plastic tray from the recycling. The deeper the tray the better, push it into the water and you get a close up underwater view of the interesting things you can find in your rock pool. 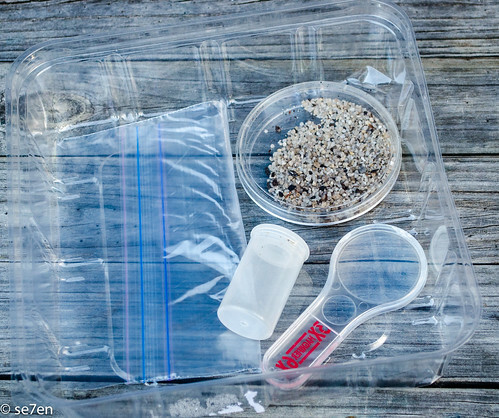 Otherwise a magnifying glass is fun and a couple of ziplock bags, petri dishes and sealable jars are great for examining tiny things. Just be sure to put back the things that you pick up and look up. 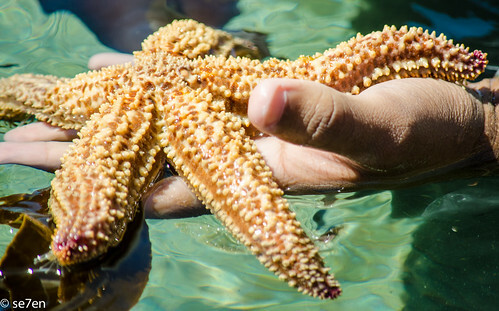 Respect the Animals: If we do pick up an animal to look at, then we put it exactly back where we find them… some of these little animals spend their entire lives in a a carefully chiselled out little nook in their rock pool… it is only right to return them home. If an animal is firmly attached to its little piece of rock then leave it there. Time Flies When You Are Having Fun: You will be amazed at how time flies when you are taking a peek into a different world. Take hats and clothes to cover up in… and also water. You can get really hot and sticky while rock pooling and with so much water all around you, there is nothing to drink… it is very much a case of bring your own. 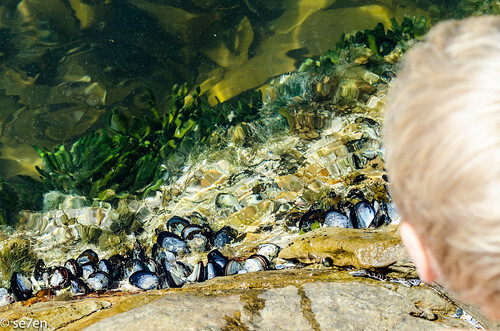 Pick One Rock Pool: And explore it carefully, some sea-life likes to bask in the sun and you may not see them camouflaged on the rock pool floor… and others really enjoy the shade. If you to carefully move stones around to look around then carefully return them to their original spot. Often times you don’t need to move anything, just lying on your tummy and quietly peering into the pond will reveal a lot. 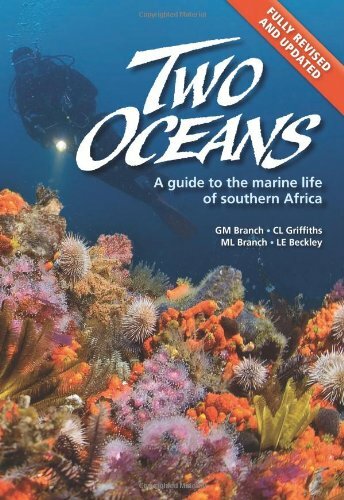 Take a Good Guide Book: You will discover things that you have never imagined… it is fun to look them up in a good local reference book is fantastic for finding out about local ocean critters. 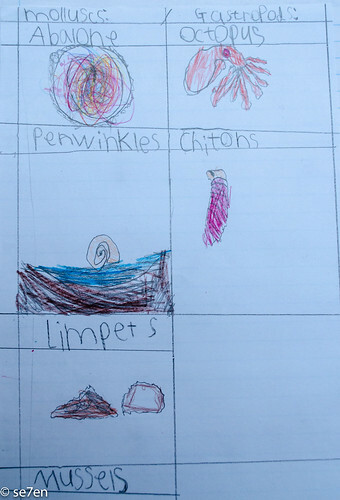 Document Your Findings: Many folks take clipboards down to the shore and sketch their discoveries. 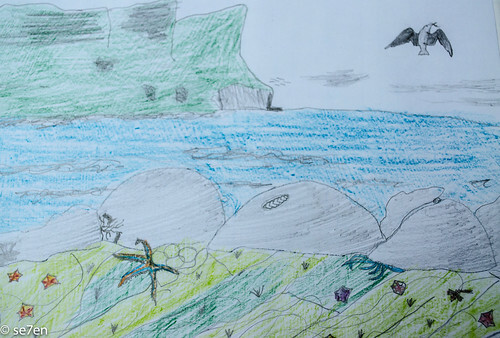 We do take our notebooks for quick sketches but we have found that we do better observing at the shore and taking photographs and then draw our findings afterwards at home. As close to the outing as possible. 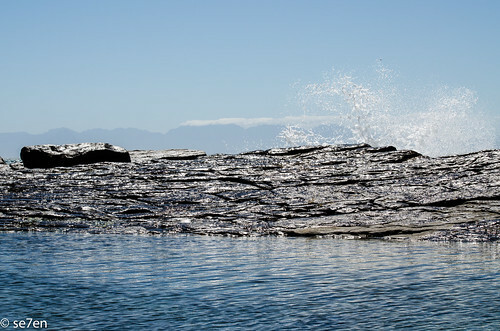 The stunning rock pool featured in this post is the Venus Rock Pool at Cape Point Nature Reserve. 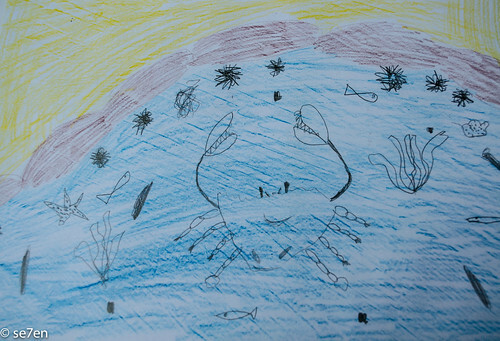 Wish we were nearer the sea. 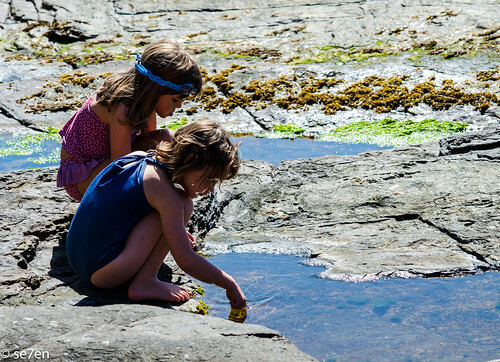 Rock pooling is on our summer list. Love your tips here. Oh Thank you so much Annabel Candy, you are too kind!!! 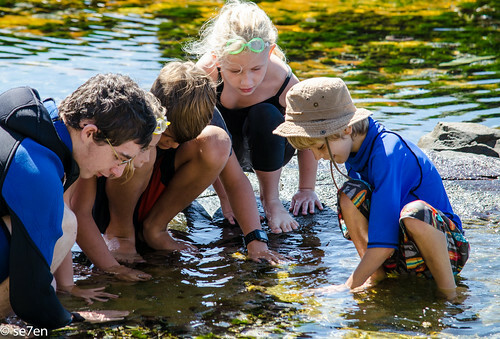 We love and adore rock pooling, it has become one of our favorite activities… Something that is interesting for curious minds of all ages. Wishing you the best weekend… nearly there!!! Hay Cheryl, I have this idea that you live on an island and so must be close to the shore… galactic error of judgement I know!!! 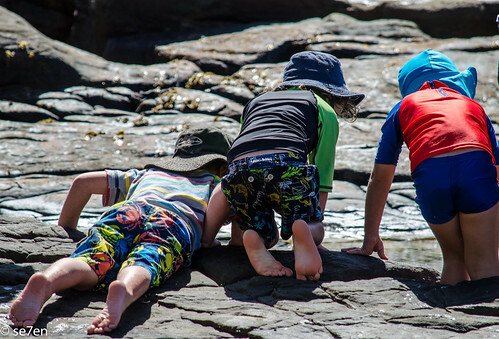 I hope you are enjoying your summer, because we sure are having winter.Well winter for us, which is why rock pooling is so great – in the summer everyone just wants to be IN the water swimming!!! Enjoy your summer break!!! 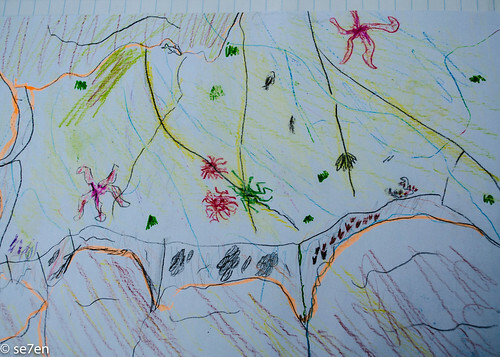 Thank you Tami, we have actually been rock pooling on the far side of the Peninsula, you can’t really get there without a car. You are so right, it will be fun to connect, and so so looking forward to the meetup!!! Hay Cat, So glad you enjoyed it… I am guessing when you guys get to the beach you really want to make the most of every single second… Let’s just wish that summer comes really quickly for all our sakes!!! Have a fun weekend!!! 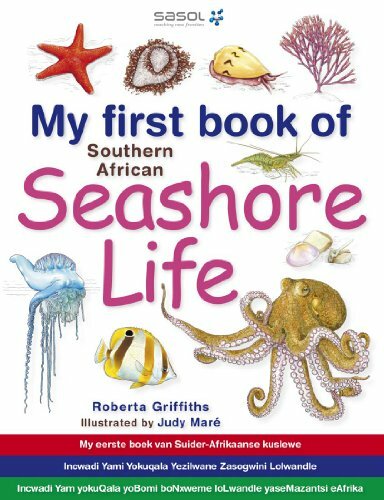 I grew up in Durban and one of my favourite things to do was explore the rock pools – we had so much fun. Oh Laura, You must miss the seaside!!! The great thing about rock pooling is that it doesn’t really matter what the weather is like, even when it is freezing… the rock pooling is just fabulous!! !